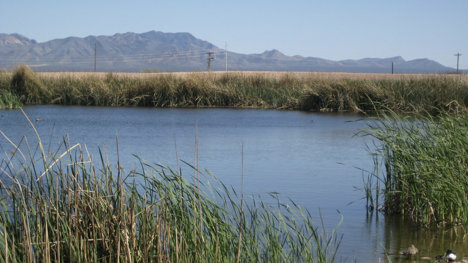 The City of Sierra Vista Environmental Operations Park (EOP) is located at Sierra Vista’s wastewater treatment facility off Highway 90 between mileposts 324 – 325, and on the west side of the San Pedro River. The project recharges the city of Sierra Vista’s A-quality treated effluent and is raising groundwater levels in a critical area that is both supporting San Pedro River flows and protecting the river from municipal groundwater pumping centers. Through the EOP’s eleven-recharge basins an average 2,000 acre-feet is recharged annually, plus another 700 acre-feet incidental recharge occurs in the EOP wetlands. The annual average treated effluent recharge is 2,700 acre-feet. 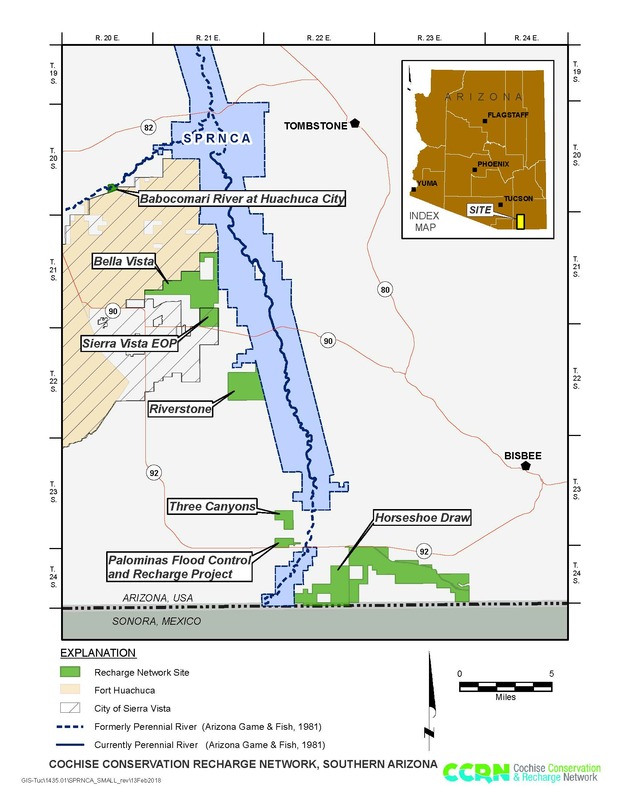 Project operation began in 2002, with groundwater monitoring beginning that same year, and is ongoing.